Some people, when they read a recent post that “design” would be a prominent competency, even for CEOs, for community marketing organizations of the future mistook my comment to mean “graphic” design. Maybe this is some of my former peers have still not developed in-house capacity for that aspect, even though leading-edge DMOs did three or four decades ago, not only to be more efficient but to keep better control of the graphical representation of their community’s brand. But I was actually referring to process design or the capacity to design things like systems, project management, processes, new product launches as well as mothballing those that are obsolete. This way of viewing design includes the ability to morph or scale organization design, business models and even things such as strategy and especially customer service. Going forward what is called “design thinking” will be more and more essential to preserving and leveraging a community’s unique sense of place, the primary role of a DMO. 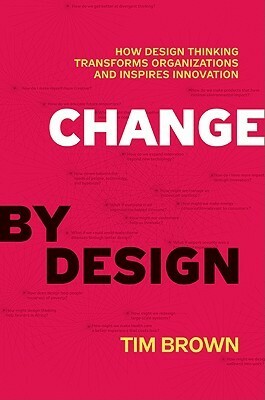 My forecast really wasn’t a reach for anyone keeping up with best practices or readers of excellent books such as Change By Design: How Design Thinking Transforms Organizations and Inspires Innovation. It was penned just as I retired nearly six years ago by former Rotman Dean Tim Brown, the founder of IDEO who blogs at Design Thinking. But Brown reinforces my belief that you “see into the future by looking back” when he reminds us that design thinking dates at least to the early 1800s when Isambard Kingdom Brunel applied design thinking to transportation systems. Community marketing is about differentiation at its strategic core and according to Brown, design thinking is essentially about developing divergent approaches to solving problems. Many organizations often fail because of poor leadership, especially when run by volunteers where leadership positions are passed from one member to another without regard for engagement or leadership ability. But instead of addressing the lack of engaged leadership, as they lose steam these organizations often but futilely try to fuse with an earlier but obsolete organization. Rather than closely examine intrinsic factors such as leadership strength or morphing design to address obvious changes in the ecosystem in which they operate, they superficially restructure hoping that fusing two organizations will restoke one while bringing the other back to life. This doesn’t solve the problem, it instead merely leads to a bigger organization lacking leadership and usually the obsolete organization sinks the still relevant one too and a new organization is formed. It is how we end up with scores of organizations on life support and draining resources away from those that are relevant. Organizations, especially when volunteer-driven, just aren’t very good at introspection or design thinking, and nowhere is that truer than when it comes to governing boards, leaving them vulnerable to regressive but well meaning “humpty-dumpty” thinkers. The annual Stanford survey of nonprofit boards of directors shows that many are in desperate need of redesign, even when executive led. Too often members are appointed without ensuring they have or are willing to learn critical skills such as leadership. Even leading an organization of their own is no guarantee that an appointee will be able to lead a volunteer board. In the current survey, over a quarter say their fellow board members lacked a strong understanding of the organization’s mission and strategy. A third of the respondents were not satisfied with the board’s ability to evaluate the organization’s performance and over a third said the boards to which they belong never evaluate the board’s effectiveness. Nearly 7-in-10 organizations have no leadership succession plan let alone require qualifications for leaders and nearly 60% had no benchmarks to measure performance to a peer group of similar organizations. Only 15% believe their boards stay on top of strategy more than once annually and 41% only do this most essential board role every two years or less. Half do not believe their fellow board members are very engaged making those that have a “you’re next” form of rotating leadership especially vulnerable to decline. Nearly 7-in-10 say their boards have faced one or more serious governance-related problems in the past 10 years and 16% say they have extreme difficulty attracting qualified new board members. The results are worse for those that are volunteer-driven and even more dismal when budgets are around $500,000 give or take.